The best sandblaster and sandblast cabinet may not always be the same product. 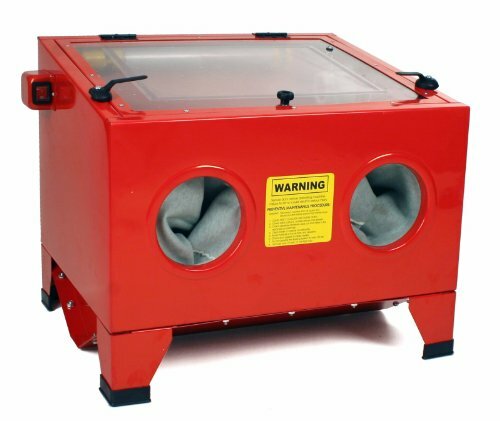 For our recommendations, you’ll find one portable unit that is ideal for small projects and moving about, and a sandblasting cabinet that gives you more control over the process, but has much less portability. The AT1251 portable sandblaster is much more popular, as most people want the low cost and portability. But the bench top cabinet in our eyes works a bit better, but it will limit you on what you can do with it. Between them, these units are ideal for all but the largest of projects, and together they fill a useful niche in every home shop or small commercial endeavor. 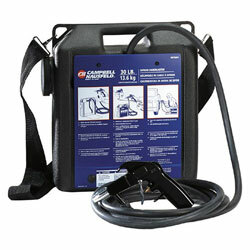 The AT1251 provides 2.5 gallons of liquid capacity, equating to up to 30 pounds of weight. It suitable for use with sand, liquids and other sandblasting materials, and the 5.3 pound empty weight is light enough to carry it around using the included shoulder strap. 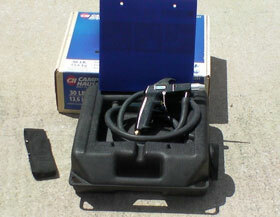 Ideal for stripping, etching, glass frosting, and polishing, the Campbell Hausfeld sandblaster requires 9.0 CFM at 90 PSI if you want to use it continuously, but it will work with less powerful home air compressors as long as you don’t mind pausing every now and then so the compressor can catch up. This model will accept ordinary building or playground sand, but it is important to bake and then sift the material before using it. This completely dries out the sand and actually changes its color quite a bit. The design of this unit allows the blasting material to clump, so you will need to shake it periodically during constant use. Keep in mind that this is not a heavy duty sandblaster, and it is not designed for large projects or immersion techniques. For jobs like furniture or paint stripping, the AT1251 is a great choice, but attempting to strip your entire home exterior will require you to give the machine a break every 30 minutes or so to prevent premature wear on the system. Be sure to wear ample protective gear, as the blasting process can be extremely messy and fine grit sand gets into any little opening. Some projects are not well suited for a lightweight, portable unit. When those situations arise, the best sandblaster for the job is going to be the Dragway Tools bench top sandblast cabinet. It has a full 25 gallon capacity, and has interior dimensions of 23 x 19 x 12 inches. The top viewport is protected by plastic film and gives the user a viewable area of 19 inches by 16 inches. The spray gun comes with 4 nozzles to give you more work options. For better compatibility, the unit operates on 4 to 12 CFM of air pressure, so many portable compressors meet the requirements. It’s more than sufficient for stripping, etching, or cleaning a wide variety of items. Like with the portable unit above, you most likely will need to interrupt your work now and then while the compressor is given a chance to catch up. The biggest complaint for the Dragway Tools model is that it does not seal as well as advertised, so you should expect to have some leakage during use, but not enough to cause any major problems.